Cyclists, pianists and audiences are preparing for a very unusual gig tomorrow as part of the Yorkshire Festival; pulling a grand piano uphill from Mytholmroyd to Blackstone Edge. A team of Calderdale’s most determined cyclists will pull a grand piano, on a PianoPorté designed and engineered by sculptor Andy Plant, up the longest continuous ascent in England. 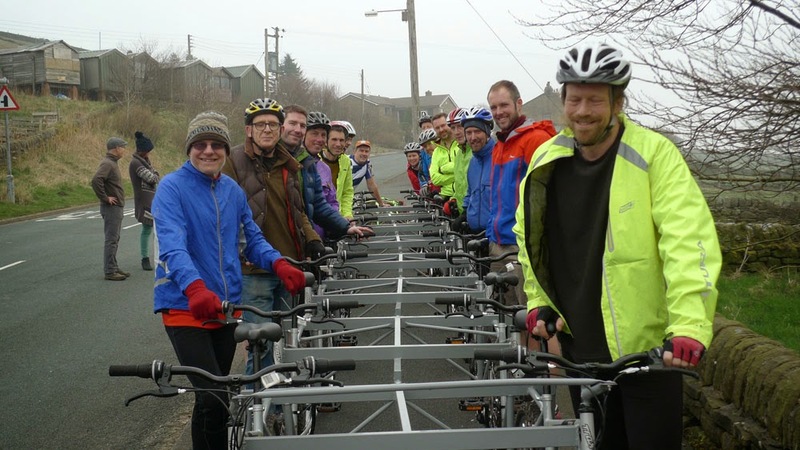 While it climbs the six miles up Cragg Vale, local amateur and professional pianists, including star performers from Hebden Bridge Piano Festival, will play a specially commissioned musical cycle, live and in transit. Music played on the route (selected as part of the Tour De France route as a particularly gruelling stretch) has been written by pianist Dave Nelson, the director of the Hebden Bridge Piano Festival and former promoter of HX7 Jazz club and will be played on a piano donated by The Piano Man. Spectators are invited to attend this free outdoor event both at the send-off from Mytholmroyd and along the route itself. Read more about sculptor Andy Plant. Read more about Dave Nelson and the Hebden Bridge Piano Festival.